-> <- This was my take on the custom case craze; the computer case as a high-end stereo component. The disks and power supply were in the black box, while the motherboard sat up on top with cables snaking out from under it. In this picture, the case has an elderly Soyo Dragon on it. 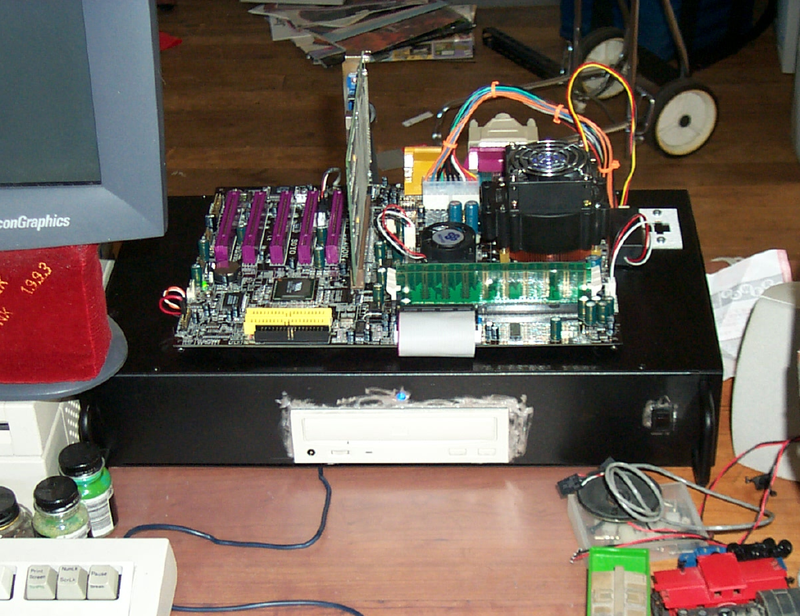 The black box held a 10gb hard disk, a generic 50x CD-ROM drive, a spiffy blue led, and the guts of a cheapo ATX power supply. The motherboard contained an AMD K7/1333, a #9 Revolution IV video card (driving a SGI 1600SW monitor – nothing but the finest discontinued hardware on my desktop! ), and a Zalman CNPS5100-Cu CPU cooler. 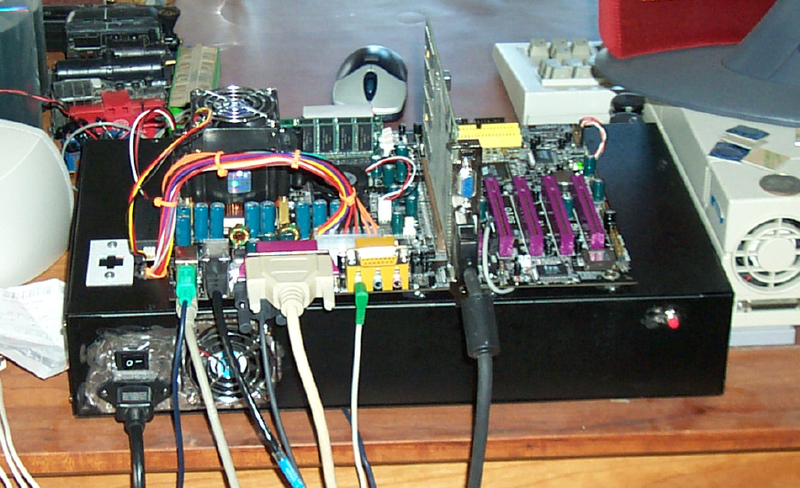 This case is dead because of power supply problems; The first power supply in the case was chosen for audio qualities, and it didn’t provide enough power for the K7. The practical result of “didn’t provide enough power” was that the power supply overheated and died. This case predated the teeny ituner power supplies, so when the power supply went away so did the box.